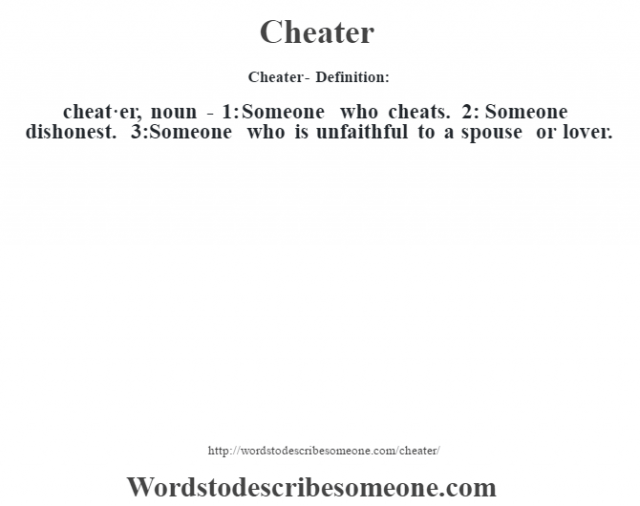 cheat·er, noun – 1: Someone who cheats. 2: Someone dishonest. 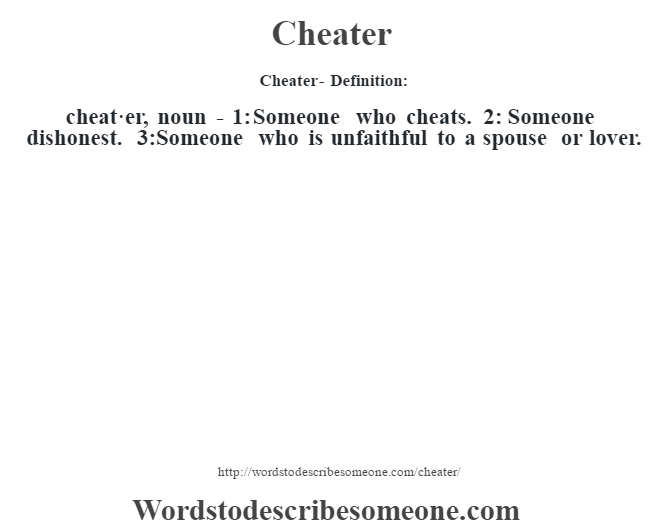 3:Someone who is unfaithful to a spouse or lover.